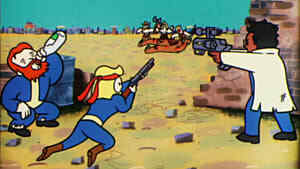 Initially, Fallout 76 was conceived as a multiplayer component of Fallout 4. But Bethesda had to start everything from scratch and re-invent the technology behind the old mechanics for it to work. 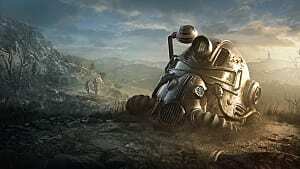 As a result, Fallout 76 became a whole other separate game, the actual development of which was given to another studio. Now it's been more than two weeks since the announcement of Fallout 76, but the game has not yet appeared on Steam. However, it is already available for the pre-order at the official Bethesda website. Although this doesn't mean anything, some fans of the Fallout series are seriously worried that Bethesda may completely refuse to release all of their future games through the Valve service. Before making the decision of pre-purchasing the beta version of the game, first, you may want to learn about the game as much as possible. So here are some of the most essential facts about the upcoming Fallout game so far. Be sure to check out our BETA impressions to find out what we learned by getting hands-on with Fallout 76. The Fallout 76 B.E.T.A. begins on October 23 for Xbox One owners. The B.E.T.A. begins on October 30 for PS4 and PC players. To sign up, you can pre-order the game on Amazon, Bethesda's website, Gamestop, and the Microsoft Store. Fallout 76 will not be on Steam -- at least initially. Learn more about redeeming your code. Fallout 76 is a new kind of survival MMO. It is a logical continuation of the ideas that were first implemented in Fallout 4, with one exception -- all players are real people. At the same time, it was important for Bethesda to preserve the feeling of a single-player experience. This means that if you don't want to constantly fight other players, you can simply explore the world around you. Up to 32 people can play on the server with a map that is four times larger than Fallout 4 (see below for more info). The encounters with other players should be rare so that you can safely explore the world, complete quests and build bases. So this is good news for those who feel more comfortable playing alone. This time the location of the Fallout game will be West Virginia, but instead of familiar wastelands and large cities the game offers the views on the virgin forests, high mountains and many other peculiar biomes of the American outback. Players will start in gorgeous locations and later move onto the more sombre, apocalyptic biomes, such as grim marshes, toxic heaths and so on. According to the plot, the shelter 76 will be the first to open among the rest, and then our job will be to re-conquer the planet. This will involve fighting against mutated animals, insects, plants, ghouls, and other strange creatures. 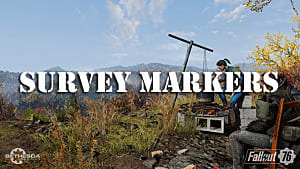 The developers created a place for exploration: a fascinating and rich world where people will discover new locations, gather resources, and possibly, meet other survivors. You will be able to trade food and items that you have crafted yourself. West Virginia is a peculiar location with its own special mythology, which is reflected in both quests and in the design of the locations, such as empty huts, fire towers, flooded mines, golf courses, abandoned provincial houses, a fallen space station and a real presidential bunker of the Cold War era with nuclear weapons. Fallout 76 will have a rich, yet simple, intuitive and easy-to-use building system, lots of crafting capabilities and other cool new features. Since this is a survival game, you will also have to eat and drink. The items will break, the food will rot, and from time to time you will encounter radioactive storms. The role-playing system is also re-vamped and quite entertaining. Characters will get controversial mutations, in some way beneficial, and in others not really. They can be treated or modified. Some will change only the appearance, while others will also influence the stats. Upon reaching a certain level you will be offered perks that can be used to form perk decks. There will be a lot of various animations for communication and photo modes. In addition to your stationary base you can also build portable C.A.M.P.s, which can be placed anywhere on the map. Besides C.A.M.P.s you can claim public workshops by clearing them. For example, you could claim a Lead Mine, which would then become a consistent source of metal for your bullets. You can craft any items you like given that you have all the necessary materials, whether it's guns, armor or consumables. You can specialize in crafting special materials that other players may want to buy from you. Nukes become available after you finish the main campaign. In order to launch the nuke you need to access the launch codes that become available after completing certain side-quests. Nukes are used to create high-level loot-rich areas for plundering. Nukes can be dropped on other players. Microtransactions are also planned, but, as stated by the developers, they will not affect the gameplay. Bethesda also promises regular updates for the next few years, because, according to the developers, online games live for as long as they are well supported. The updates are planned to be both small and very large, so this could mean that over time new regions on the map will be added. Mods and private lobbies will be implemented in future updates as well. Scorchbeast: Extremely aggressive giant bat-like creature that can fly and live underground. Snallygaster: Typical reptilian creature that walks on two legs. Mega Sloth: Giant poisonous sloth that is covered with rotten fur. Grafton Monster: Beast with pale skin and a giant arm. Mutated Toad: Giant radioactive frog. Mothman: Mythical creature from the West Virgianian folklore that has big bright eyes and sneaks up on its prey. Scorched: Semi-feral ghouls that can use weapons. Mole People: Humanoids with gas masks that live inside the mines. Mutated Giant Bee: Giant radioactive bee that carries entire hive of smaller bees. Tick: Giant blood-sucking six-legged arachnid. Wendigo: Extremely fast and mobile humanoid that lives on swamps. Two-Headed Possum: A giant mutated possum with two heads. Intelligent Plants: Plants with brains and sneaky tactics that can consume flesh and bones. Vault Dweller: Human NPC that resides in the vaults; can be either friendly or hostile. Flatwoods Monster: Alien creature with a suite and a propulsion system that keeps it afloat. At the last QuakeCon Bethesda announced a new skill system in Fallout 76. The perk system will be represented by special cards that players will receive at each new level. Gladiator: Your one-handed melee weapons now do +10% damage. Expert Heavy Gunner: Your non-explosive heavy guns now do +10% damage. Sturdy Frame: Armor weighs 25% less than normal. Expert Slugger: Your two-handed melee weapons now do +10% damage. Bear Arms: Heavy guns weigh 40% less. Batteries Included: Energy weapon ammo weighs 30% less. Bandolier: Ballistic weapon ammo weighs 90% less. Percepti-Bobble: You hear directional audio when in range of a Bobblehead. Pannapictagraphist: You hear directional audio when in range of a Magazine. Green Thumb: You have 25% chance to reap twice as much when harvesting flora. Slow Metabolizer: All food satisfies hunger by an additional 15%. Dromedary: All drinks quench thirst by an additional 15%. Vaccinated: Chance of catching a disease from creatures is reduced by 60%. Aquagirl: You no longer take Rad damage from swimming and can breathe underwater. Professional Drinker: There's no chance you'll get addicted to alcohol. Bloodsucker: Blood packs now satisfy thirst, don't irradiate and heal 50% more. Team Medic: Stimpaks now also heal nearby teammates for half the normal strength. Lone Wanderer: When adventuring alone, take 10% less damage and gain 10% AP regen. Strange in Numbers: Positive mutation effects are 25% stronger if teammates are mutated too. Spiritual Healer: You regenerate health for 5 seconds after reviving another player. Quack Surgeon: Revive other players with liquor. Happy-Go-Lucky: Your luck is increased by 2 while under the influence of alcohol. Squad Maneuver: Run 10% faster when part of a team. Party Girl: The effects of alcohol are doubled. Inspirational: When you are on a team, gain 5% more XP. Hard Bargain: Buying and selling prices at vendors are better. Happy Camper: Hunger and thirst grow 80% more slowly when in camp or in a team workshop. Bodyguards: Gain 8 Damage and Energy Resistance for each teammate, excluding you. Master Hacker: Gain +1 hacking skill, and terminal lock-out time is reduced. Exotic Weapons: You can now craft exotic weapon mods. First Aid: Stimpaks restore 10% more lost health. Science: You can craft energy weapons. Contractor: Crafting workshop items now costs 25% fewer materials. Goat Legs: Take 80% less damage from falling. Marathoner: Sprinting consumes 20% fewer Action points. Gun Runner: Your running speed is increased by 10% when you have a pistol equippd. Starched Genes: You will never mutate from rads and Radaway will never cure mutations. Mystery Meat: Stimpaks generate excessive, edible meat. Higher Rads improve the chance. Mysterious Stranger: The Mysterious Stranger appears more often when using V.A.T.S. Luck of the Draw: Your weapon has a 10% chance to regain condition when hitting an enemy. Scrounger: 50% chance to find extra ammo when you search an ammo container. Can Do! : 50% chance to find extra food when you search a food container. The open beta for Fallout 76 is approaching (see the exact dates above), and we'll finally be able to get our hands on what it feels like to play a multiplayer Fallout. At this point, a few natural questions may arise: How do you differentiate between the NPCs and the real players? Do you shoot or befriend the players? How often do you meet new players? Fortunately, Bethesda released new pieces of information about the multiplayer aspect of the game that have previously been kept under wraps. The first and most crucial question is how do you know “who is who” in the game? Well, the developers made it really easy for us to figure that out. 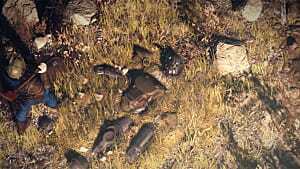 The only NPCs that are left roaming the Appalachia are robots and AI. This means that every other living person you happen to meet in the game is a real player. As would be expected, NPCs can be both hostile and friendly. The friendly ones can give you quests that will eventually lead to discovering more about the world after the nukes dropped. Other NPCs, of course, will make your life a living Hell, making it easier for nefarious human players to pick you off -- or(!) giving you the opportunity to band together and take them down in a hard-nosed fight. 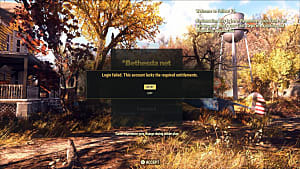 The PvP system in Fallout 76 is based on the level of your engagement. For example, if you meet a real player who happens to be hostile towards you, and you chose not to engage, then the attacking player will be marked as "Wanted" with a bounty on their head. When you find a player carrying a "Wanted" status and you manage to kill them, then you will receive a bounty from their personal Caps stash. On the other hand, if you choose to engage in combat with another player, there will be no "Wanted" status assigned to either you or the other player, so you can fight to the death and the winner gets all the Caps from the defeated player. The same goes for team duels. Lastly, you can engage in various events that will be available as soon as the game launches. The events will be available for both solo and co-operative modes, and PvP combat will be turned off during these events. 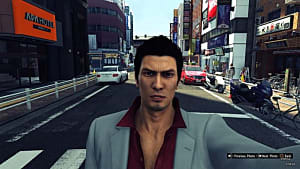 The team events will give all players involved equal rewards, thus prompting players to cooperate in a friendlier manner. Event rewards have not yet been released. One of the biggest challenges that players will have to endure during Fallout 76's main campaign is the launch of the nuclear bomb. 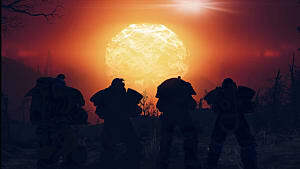 Reportedly, the process of launching a nuke will take many hours of gameplay, but it will create a whole new environment for players to explore post-launch. Besides the nuke launch, a few other details have been revealed regarding the post-launch phase of the game. Players who play during the open beta period will be able to transfer their in-game progress to the full game on November 14. Bethesda will save all gameplay progress on their servers so you won't have to start over. All your Perks, Caps, and Atoms (a new in-game currency) will be saved for future use. This should give some players a better start at, but hopefully, the rest of the players will also get some kind of bonuses at the beginning of their journey. 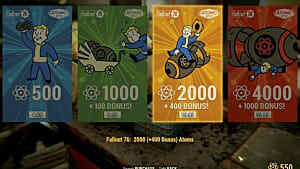 The new in-game currency -- Atoms -- will play a significant role in the Fallout 76 microtransactions system. 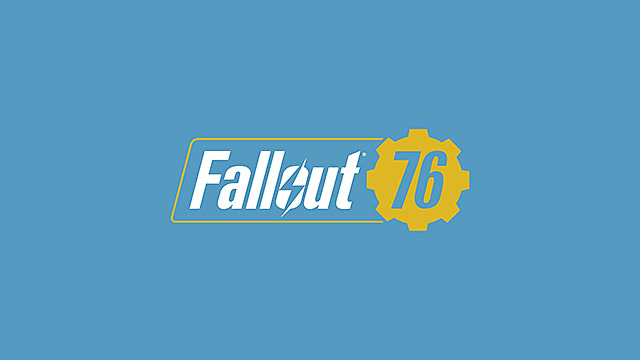 Players will receive Atoms for every little challenge, so there will be no shortage of those in the game (Xbox One owners who pre-ordered Fallout 76 will get additional 500 Atoms at launch). 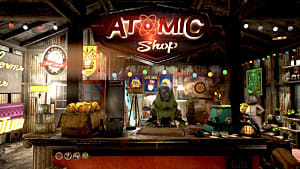 Atoms can also be bought for real money and used for purchasing items, such as skins and outfits, in the in-game shop. However, they cannot be used for purchasing perk cards (which is a good thing). If you’re not keen on the idea of purchasing new outfits for real money, then you will want to look to supply drops. These have become a staple for getting top-tier gear and weapons in all battle royale games, so it's expected to see them here in such a multiplayer-centric title. 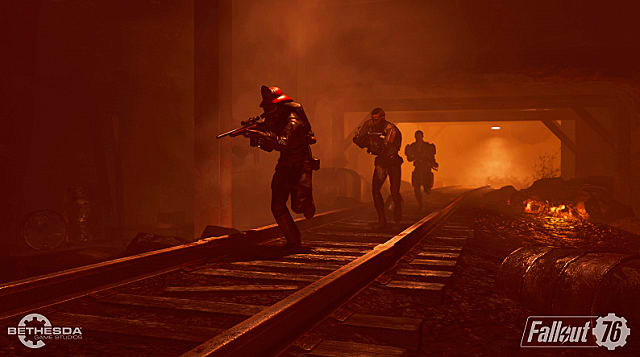 Although no details have been revealed concerning the content of the supply drops in Fallout 76, they will surely attract the attention of many other players in your area of the map, who would want to fight for the right to open it first. That is all we know about Fallout 76 for now, but be sure to come back soon for more updates on the game here at GameSkinny!